Ovide, one of the sons of Jos. 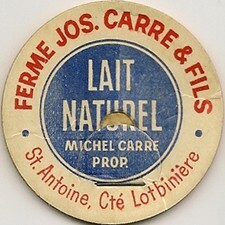 Carré living in Saint-Antoine-de-Tilly loading the horse-wagon. Deliveries should be done before noon! 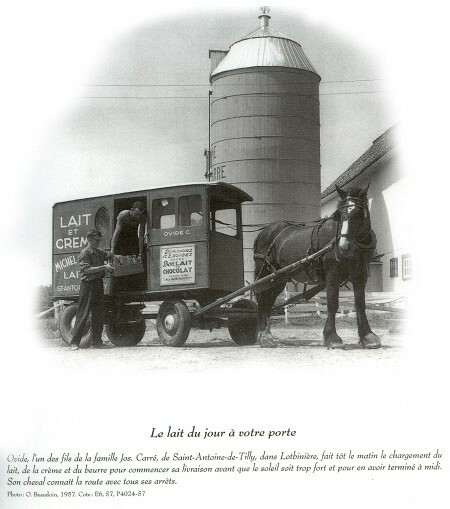 - Picture from the book : "Les voies du passé 1870-1965"
As shown in the wagon and on the cap, Michel became the owner the the dairy!